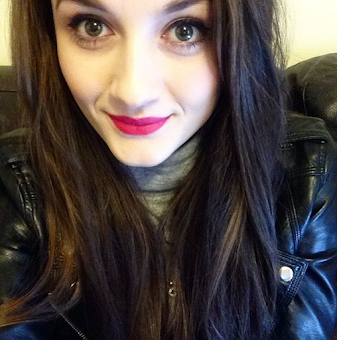 Okay so last time I blogged I said I would try my best to keep at it. But it's just hard to get motivated at the moment, I feel like since being back at uni I'm tired 90% of the time. I keep coming up with ideas in my head for blog posts but just never get them started, but I'm hoping I can keep at it this time! 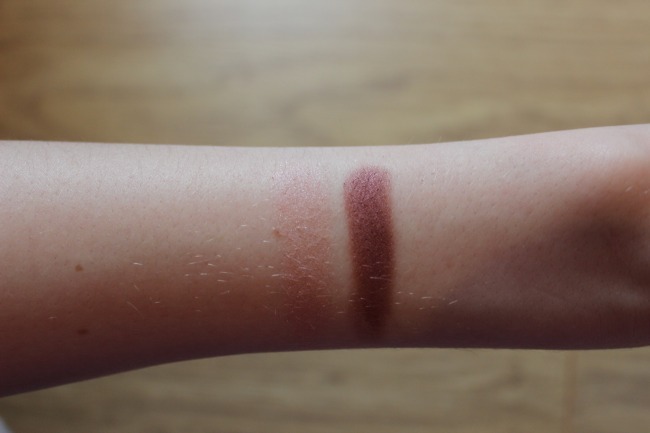 I've got a review of the No7 duo, which is my favourite eyeshadow at the moment and has quickly become my favourite budget eyeshadow. 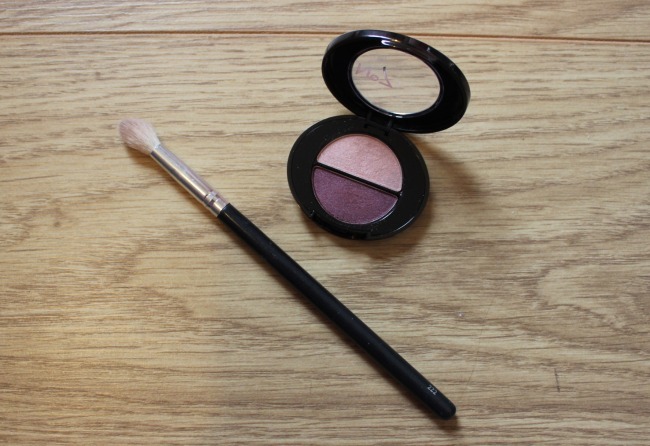 I bought this duo about a month ago when I was on the hunt for the perfect Autumn/Winter eyeshadow, I knew I wanted something slightly pink and berry because I just love them colours on my eyes. 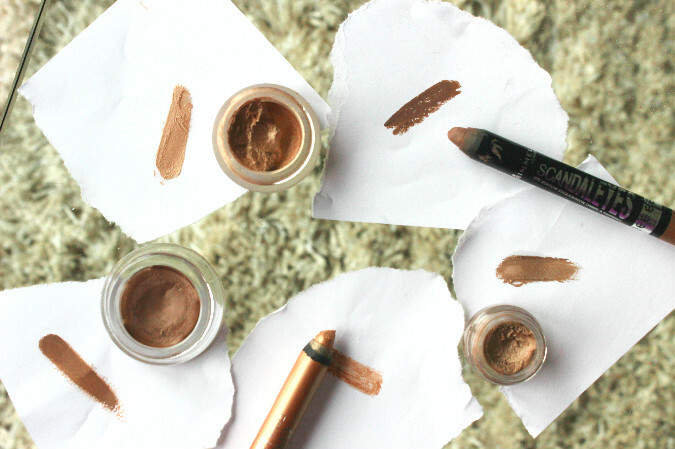 I discovered this duo after searching for a dupe for Estee Lauder's Raisin's duo which was popular with Zoella and Tanya Burr last year, but it was around £23 and I couldn't part with that much money for two eyeshadows. I've spent the last year hoping to find it in a blog sale, but after buying this beauty from No7 my craving has been cured. The duo comes with a warm toned pink shade which has a slight golden undertone to it, making it the perfect all over the eye colour whether it's worn on its own or with other shadows. The second colour is a deep aubergine colour which adds a perfect pop of colour to the eye when applied to the crease and outer corners of the eye. This is perfect for those of you who want some colour on the eyes but still want to stay fairly neutral. The eyeshadows are super creamy so they apply like a dream and have a lasting power with a primer of at least 8 hours, which is the longest I have found for any budget eyeshadow. In my opinion these shadows are comparable to Urban Decay eyeshadows - some of the best on the market - but for a fraction of the price. The only problem is that a light hand is needed when applying the purple shade, if too much is added it can cause you to look tired or like you have some eye infection, neither of which are a good look and once too much is applied there's no going back. However when it's done correctly it really can look stunning on the eyes! I purchased this at the full price of £8.50 which I think it is completely worth! However all beauty products are currently 3 for 2 in Boots and there is always a No7 voucher hanging around, so you could get this for a real bargain if you work the deals. I really recommend this duo and will be looking to pick up some more colours soon, so even if purple isn't your thing I'd check the other colours out just for the great formulation!